Pantoprazole in a proton-pump inhibitor (PPI) that’s used to help people who are suffering from acid reflux. This condition can cause the throat to become irritated and eroded, so pantoprazole is prescribed to manage stomach acid levels and allow time to heal. If you’re experiencing pain and discomfort as a result of your acid reflux, talk to our doctors about pantoprazole. They’ll assess your symptoms and see if this is the right medication for you. Pantoprazole is prescribed as a powder or tablet, both of which can be taken with or without food. The powder is most effective if taken just before a meal. You should take your medication as instructed by a doctor, sticking the dosage size and frequency that they’ve provided. 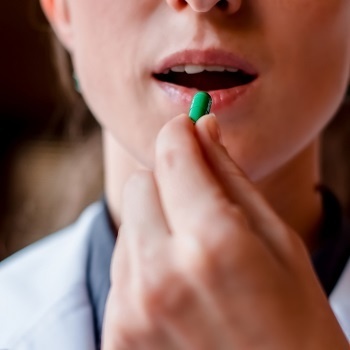 It’s important that you don’t stop taking pantoprazole if you feel better, as you need the full course of treatment to make sure your symptoms are fully dealt with. If you miss a dose, you should take it as soon as you realise. The exception to this rule is if it’s almost time for your next dose. If this happens, just skip the one you forgot and continue as normal. Never take a double dose. These are usually only mild and will go away once your treatment is finished. However, if you notice that your diarrhoea has blood in it, or is extremely water, you should speak to a doctor as soon as possible. Additionally, it’s thought that long term use of pantoprazole may come with a very small risk of stomach cancer and can make it harder to absorb nutrients such as vitamin B12. This is obviously of particular concern for patients with a family history of problems such as these, so talk to your doctor and assess the risks before you start taking this drug. If you think you’re having an allergic reaction to pantoprazole, you should get emergency medical help straight away. Symptoms of an allergic reaction include trouble breathing, facial swelling or a severe, sudden rash. Before you’re prescribed pantoprazole, you should tell your doctor if you’re taking any other medication. This is because pantoprazole can react with some other medicines in a way that might damage your health. You should also let your doctor know about any allergies you have. There’s some evidence to suggest that taking this drug carries an Increased risk of fractures, particularly in older patients. Speak to your doctor about the possible risks if you’re concerned. With any medication that has drowsiness as a possible side effect, it’s not advisable to drink alcohol. It can make these side effects much worse and have a negative impact on your decision-making abilities. Is It Safe to Take Pantoprazole During Pregnancy? 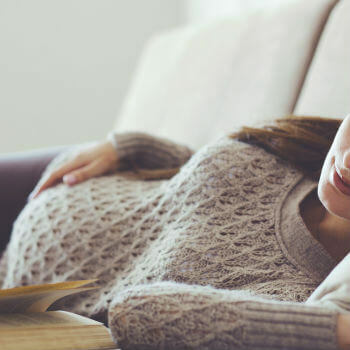 While pantoprazole isn’t thought to harm an unborn baby, it’s always worth talking to your doctor before you start treatment, just to be sure it’s safe for you to take. Pantoprazole may get into breast milk and could be harmful to your baby, so it’s not a recommended drug for breastfeeding mothers. Pantoprazole is one of many PPIs that our doctors can prescribe to help you with issues such as acid reflux. Book an appointment today and discuss your symptoms with them. If you need a prescription, our doctors can write one straight away and have it sent by email or first class post.